Rank: #59 out of 200. 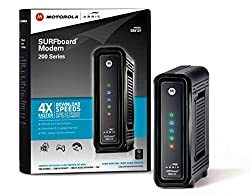 Wired modem only, does NOT include WIFI Router or VOIP Telephone adapter. Gigabit Ethernet port to connect to computer or Router for fast downloads. Internet speeds based on your Cable providers service - up to 172 Mbps download and 131 Mbps upload. 4 Download and 4 Upload Channels. Arris SURFboard is a very popular option at the bottom of the price range. It's in the top 3 bestselling routers and has dozens of popular alternatives in the same price range, such as Wise Tiger RT8501 or Phicomm K3C . 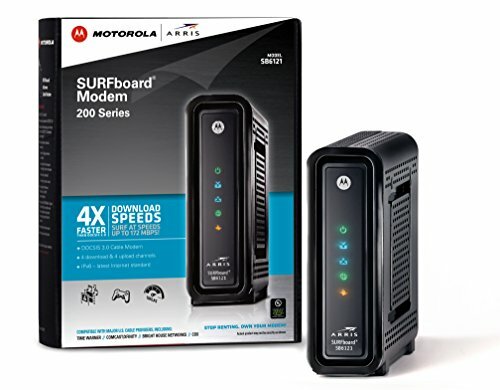 Arris SURFboard is $94.49 cheaper than the average router ($127.99).